Lions, ummm … giraffes and rhinos … oh MY! … and more! Welcome to my stop on the hop. Did you just come from Steph Jandrow’s amazing blog? You can get back to her via the “previous button” or just keep on hopping and you will get to her soon. Be sure to continue on though the hop until you get back to where you started. If you take the time to comment on each blog with “#SFAprHop” as you travel through, you will be entered to win a prize from each of us … One lucky winner gets LOTS of surprises in the mail. Details are below. Well, here are my projects. 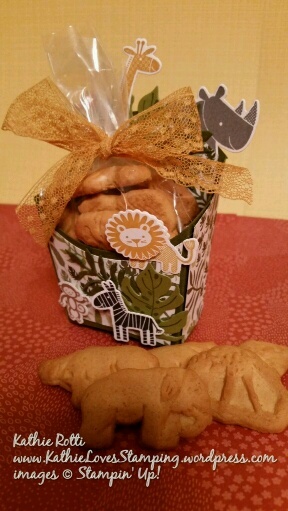 Everything (except the Animal Crackers) I used is from Stampin’ Up! …. much of it is retiring. “All Things Animal” is the theme this month. I considered going with butterflies … because they are animals too …. but with Zoo Babies (130456)retiring, I thought I should finally ink up that stamp set. Why haven’t I used it before now? It is so adorable!!!! The square window card is 4 1/4″ x 4 1/4″. I used the retiring Squares Collection Framelits (130921) to create the frames and window cut out. There is a window sheet (114323) in the opening. The inside frame hides the edges of the window sheet. Botanical Gardens DSP gave the card and box the wild animal feel that I was looking for. The Botanical Builder Framelits (140625) and Botanical Blooms stamp set (140757) provided the leaves. 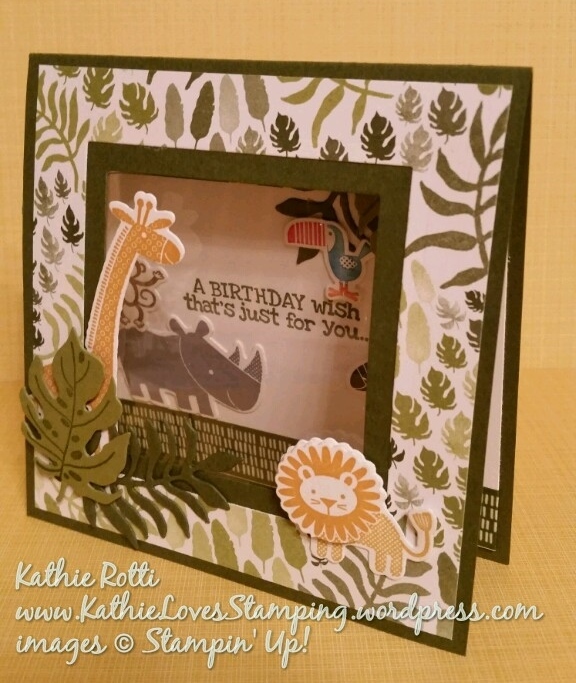 The square window card style is from Stamping School. 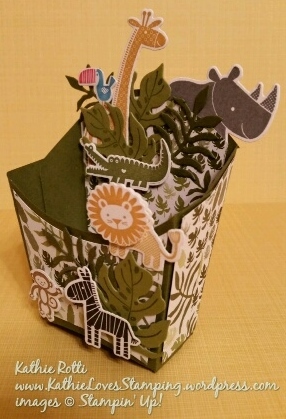 I used a bit of Botanical Gardens Designer Washi Tape (140586) to represent grass on the inside of the card. All of the animals can be fussy cut or you can use an e-cutter to make your life a little simpler. The retiring Fry Box Bigz L (132966) made for a cute coordinating project. ANOTHER retiring item I have never used before! sigh….. 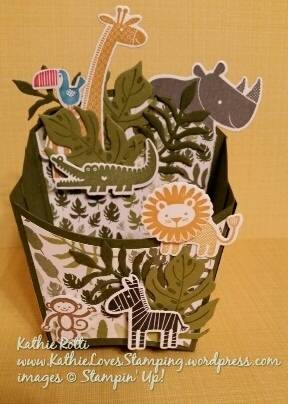 I cut the Fry Box from Mossy Meadow cardstock and the Botanical Gardens DSP. I hand trimmed the DSP to fit on the assembled box so there was a border of Mossy Meadow showing. I decorated with several of the animals and a few leaves. This would make a great favor for a birthday party. The box is super easy to assemble. The Fry box is perfect for holding a small bag of animal crackers. Did you know, animal crackers just aren’t as tasty as last month’s jelly beans?!!! I hope you enjoyed my post …. now for prizes. Please comment on each blog using #SFAprHop along with your comment. (Please note … the prizes pictured are NOT what the winner will receive.) 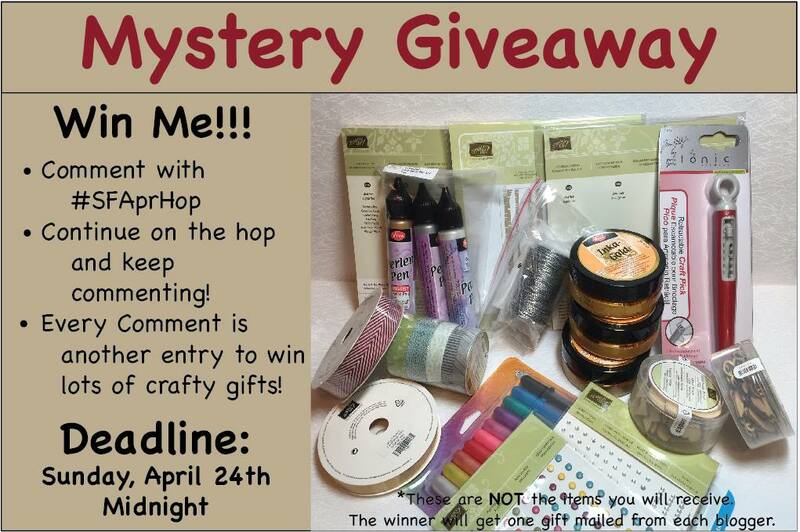 The winner will receive a prize from each of the bloggers in this hop! Thank you for visiting. Click on the “next” button to continue on through the hop to check out guest hopper, Robin Rasset and her fabulous contributions. Kathie Rotti : You are HERE! We can do that style card at our next class! Glad you like it. Very nice use of fry box it never turned me on until I saw yours. I will use it as a baby card to send to my new great nephew in the UK. Thank you for sharing. So much fun!! I never ordered this set, was sure I’d ever use it. But this is just fabulous…makes me kick myself now!!! I have too many retiring stamps that have not seen ink! WOW you have done a fantastic job of pairing the stamps with that DSP!!! just gorgeous! 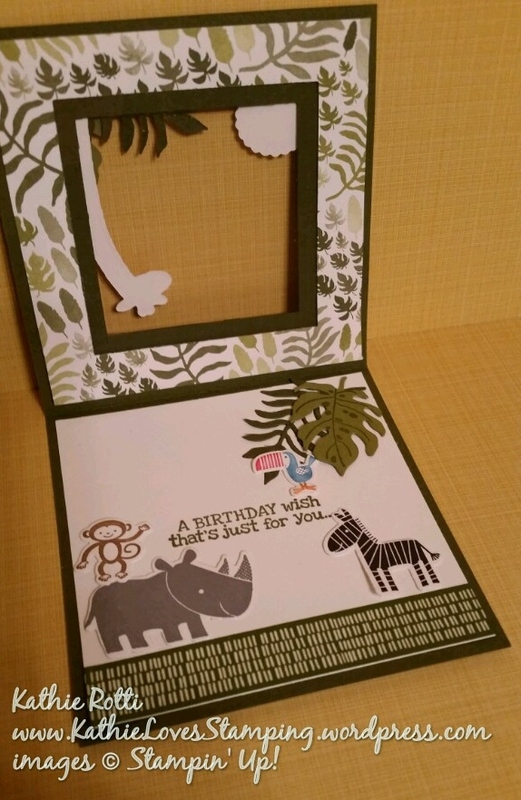 Your card and project are SUPER CUTE! I love the Zoo Babies/Botanical Blooms Combo. I never purchased the Zoo Babies and I’m sad to see it retiring. I do not know why I hadn’t used it before this! #SFAprHop Wow…love the zoo card and fry box! I didn’t realize that stamp set is so cute until now. As always your work is beautiful and cute as well, this month! Thank you so much, Maryellen. Love these projects! I have these stamp sets and am always looking for new ideas on how to use them! I just fell in love! Those look amazing!!!!! What a great way to use that paper, I never would have thought to do that….cute, cute, cute!! Thanks for sharing!! Love the product combinations! Thanks for the idea. You’re welcome. Thanks for hopping. If you can’t make it to the zoo, bring the zoo to you. Beautiful card. 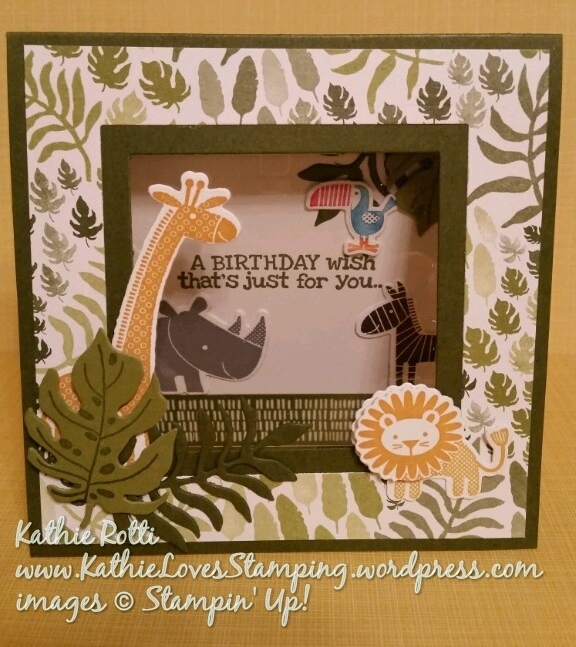 What an ingenious idea to use the Zoo Babies stamp set with the Botanicals Set! They all go so well together and your color combination is fab! 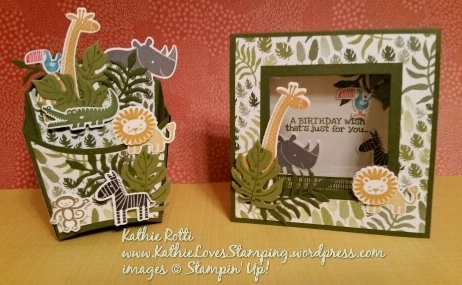 Love the jungle look– so cute!!!!! #SFAprHop love it all! Thanks for sharing! Your card is very unique! Thanks for sharing and the idea! Thanks .. I see your hashtag! Sorry, forgot that in my last comment. Thank you! Be my guest. 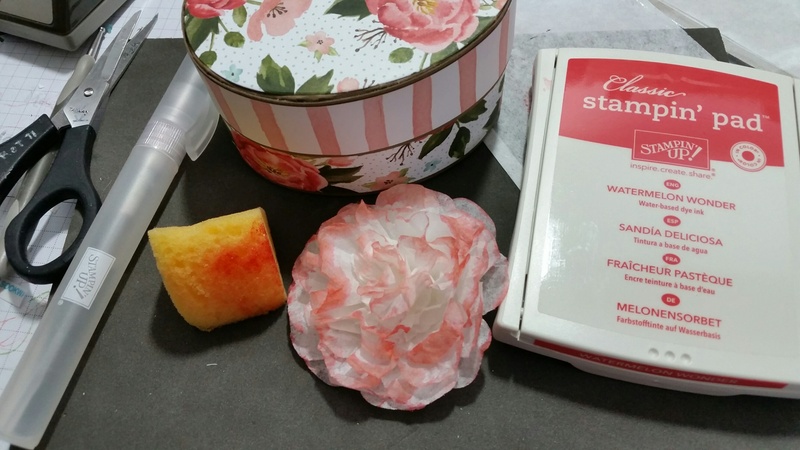 #SFAprHop What an ingenious use of the botanical blossoms paper….fantastic. Both the frame and box are great. thanks for sharing. Lovely square window card and fry box! Your animal creations are way too cute! Very Nice this is a cute stamp set. I love both projects Kathie! Great use of Zoo babies!! Kathie! you know that this is over the top WOW!!! Beautiful work and so adorable! What a great use of Zoo Babies! And that set works so well with that DSP! I love your projects!